AT&T is an American multinational conglomerate holding company headquartered at Whitacre Tower in Downtown Dallas, Texas. AT&T is the world's largest telecommunications company. 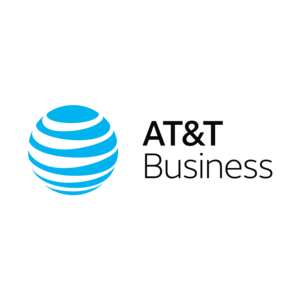 AT&T is also the second largest provider of mobile telephone services and the largest provider of fixed telephone services in the United States. VeloCloud Networks, Inc., the Cloud-Delivered SD-WAN™ company, Gartner Cool Vendor 2016 and a winner of Best Startup of Interop, simplifies branch WAN networking by automating deployment and improving performance over private, broadband Internet and LTE links for today’s increasingly distributed enterprises. NSX SD-WAN includes: a choice of public, private or hybrid cloud network for enterprise-grade connection to cloud and enterprise applications; branch office enterprise appliances and optional data center appliances; software-defined control and automation; and virtual services delivery. Discover more at www.velocloud.com. Okta is the leading independent provider of identity for the enterprise. The OktaIdentity Cloud connects and protects many of the world's largest enterprises. Headquartered in Mumbai and Singapore, it has more than 8500 employees across 38 countries. The $2.9 billion company is listed on the Bombay Stock Exchange and the National Stock Exchange of India and is the flagship telecoms arm of the $103.3 billion Tata Group. Arista Networks was founded to pioneer and deliver software driven cloud networking solutions for large datacenter storage and computing environments. Silver Peak is the global leader in broadband and hybrid WAN solutions. 3,000 distributed enterprises have deployed Silver Peak SD-WAN and WAN optimization solutions worldwide. Aryaka provides SD-WAN for global enterprises that delivers significantly better performance for cloud and on-premises applications — voice, video and data — for enterprise datacenters, branch offices and remote/mobile employees anywhere in the world. Anomali helps organizations find and respond to cyber threats. They bring to your security team the one thing that's been missing — external context. With Anomali you can now identify suspicious or malicious traffic before it even reaches your network. Maidenhead Bridge created a disruptive technology that allows to connect to Zscaler without limitations using any networking infrastructure without networking knowledge: The Cloud Security Connectors.